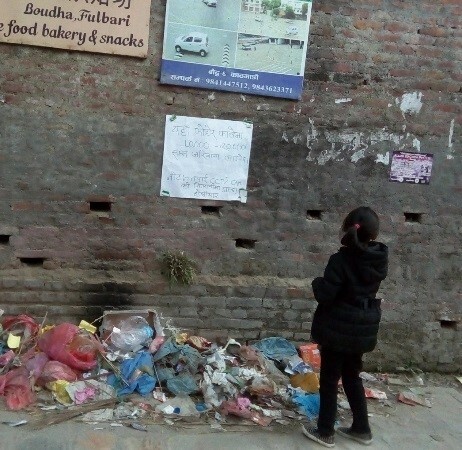 Kathmandu, a city of the beautiful history is also known for ugly waste management scenario. Kathmandu, a city with diverse groups of people and culture is also known for the culture of throwing wastes in the streets. Kathmandu is a small city compared to developed cities in other parts of the world. Yet, we have big solid waste management issues. If I had to root down to the main cause of this problem, I would blame the attitude and culture of people. The primary schools in the past never taught students the right attitude so the culture to good waste management was never passed down. I once watched an interview where the mother was asked if she taught her child not to throw banana peels on the road or not. Her casual answer was “I ask my child to throw waste on the road itself.” We have grown up in such a mindset that once the waste is out of our sight, it’s clean. No one cares about where the waste goes, or how it affects other beings. Our society doesn’t even have an idea that throwing waste randomly depicts a bad culture, so there is no guilt in it. Disposing wastes secretly in the streets or into the river late night is also a prominent trend among Kathmanduites. If a dog dies, throw it in the river. If there is a Puja at home, the “sacred waste” should be thrown into the river for purity. Moreover, there are many scenarios where there is a pile of waste right below the “Don’t throw Waste” sign, proving how irresponsible and inconsiderate people can be. There even are people who are miser to subscribe to the waste collection system, and rather opt throwing wastes at nearest open space. 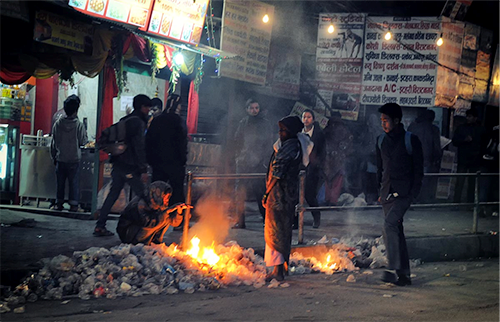 And in the winter, people burn wastes (especially plastics) for warmth. What can be worse than burning plastics? Is it that people don’t know the possible toxic release or are they unseeing it? In the recent past, an agreement between the government and the public transport operators had imposed a rule that no waste should be thrown out of the public vehicle and that the public vehicles should have a dustbin for throwing waste. This was indeed a really good start. But we can hardly see its effective implementation. Similarly, the Solid Waste Management Act, 2068 Chapter 2, Section6 requires the wastes to be segregated at source. But the public barely know the existence of such law. So, the information dissemination and implementation activities from the government's side seems to be quite weak. It is rightly said, the rich and educated create waste and the poor and unprivileged ones clean them. 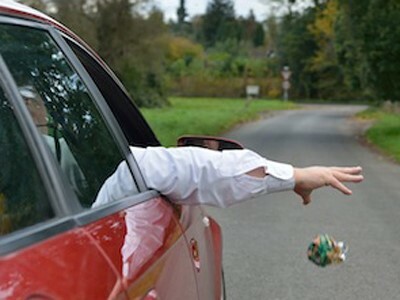 It feels extremely sad to see people in shiny cars throwing stuffs out of the window, to see students of reputed schools throwing waste out of the bus window. I bet, many of us have grown up mocking the cycle hawkers; but have we ever realized that they are the ones who actually recycle resources and keep the cities clean? So, if we like to call ourselves educated, our actions should also show that we are one. Cleaning campaigns are a big waste of time. The cleaning campaigns are useless if people continue to throw waste. There are cases where the participants themselves throw masks and gloves out on the street after they’ve “cleaned”. Minds should be cleaned not the streets. The source should be managed not the end. Our attitude towards the concept of waste management should also be changed drastically. The people, who actually work to make the city cleaner and better place to live, are never appreciated, let alone respect. Have you ever thanked your waste picker for helping you keep your house clean? People spend a lot of money in random stuffs, but they have a problem if the waste collection charge increases even by NRs. 50. The problems are countless, but the solution is simple- change in attitude. The problem won’t stop unless people realize that it is THEIR responsibility to reduce waste as much as possible. The problem will remain a problem unless people understand there are easy methods to reduce, reuse and recycle waste. Small changes in behaviors like throwing wastes in proper dustbins, composting at homes, recycling resources, or promoting the cycle hawkers/waste recyclers can bring a huge change. Only then can we witness a clean and beautiful Kathmandu, the capital of Nepal.